Topics: Repairs, Windows, Doors, and Conservatories. 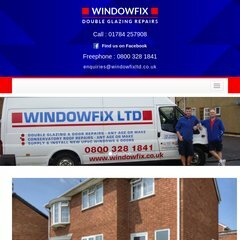 Windowfixltd.co.uk's IP address is 85.233.160.70. It has 3 DNS records, ns1.phase8.net, ns2.phase8.net, and ns0.phase8.net. Pinging the server, resulted in a 96.5 ms response.